The Governor of Bayelsa State, Hon. Henry Seriake Dickson, Thursday Jnauary 1 led a high powered delegation of Ijaw leaders to former President, Dr. Goodluck Jonathan to deliberate on the All Progressives Congress, APC Committee’s report on Restructuring. A statement by the Special Adviser to Governor Dickson on Media Relations, Mr. Fidelis Soriwei, Thursday January 1 quoted Jonathan as saying, “the issues which fell under the purview of the committee were exhaustively treated during the 2014 National Conference whose sincere implementation would definitely move the nation forward. It was a good idea that the APC was able to set up a committee to look into the same grey areas, which featured prominently in the deliberations of the 2014 Conference”. 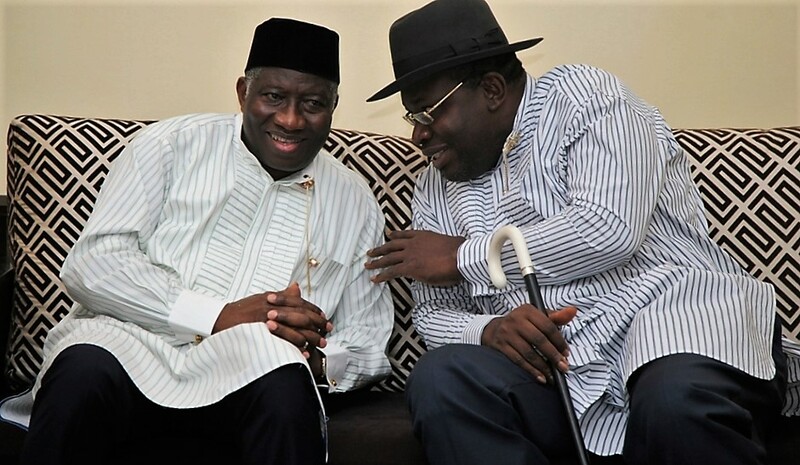 Jonathan commended Governor Dickson for playing the leadership role of coordinating the thoughts of the Ijaw people on the sensitive issue of restructuring, stating that the Governor must be appreciated for ensuring that the Ijaw Nation did not speak with discordant tones on the issue of restructuring. Speaking also, Governor Dickson said he led the delegation of the Ijaw leaders to the former President on a consultative meeting to brief him on the steps the Ijaws had taken to build bridges of understanding in the pursuits of what is right in the country. The meeting was a follow up to an earlier meeting of top Ijaw leaders at Kiagbodo, the country home of Pa. Edwin Clark on January 20, 2018. The meeting, which had in attendance, the Governor of Bayelsa, Pa. Clark, Alabo Graham Douglas affirmed that the 2019 general elections would be a referendum on restructuring across Ijaw land. The meeting also called on President Buhari and the APC to ensure that the recommendations contained on the report of the APC Committee on restructuring were sincerely implemented.